It has been decades since widespread public knowledge about the efficacy of vitamin C came. It all began with Dr. Linus Pauling, a two time Nobel Prize laureate. He himself started taking a high vitamin C dosage in 1965. He died in 1994 at the age of 93. He believes that his death was delayed for 20 years because of his vitamin C intake, that went as high as 18,000 milligrams per day in later years. In his work on vitamin C, Dr. Pauling makes it clear that he believes that people can have an extra 12-18 years of life if one takes 3,200 to 12,000 milligrams of vitamin C per day. Corroborating his assertions in a study of 11,000 Americans where he postulates that intake of 300 mg of vitamin C per day (equivalent to 5 servings of fruits and vegetables per day) adds up to 6 years to a man’s life and 2 years to a woman’s life. Likewise, cardiovascular disease in this group declined significantly. Vitamin C is a water-soluble antioxidant. Human is one of the few animals that cannot produce this vitamin and therefore must get it from an external source. Fortunately, it is found abundantly in fruits and vegetables such as RED, papaya, tomato, and brussels sprouts. It is a supplement needed as insurance against the increased demands of aging. Research on vitamin C dosage is so well known that many people probably know at least two or three effects of Vitamin C. The effects of optimal vitamin C dosage are wide-ranging. They have been postulated to immunize against cancer, saves arteries by driving up HDL, raises immunity by increasing production of lymphocytes; reverses biological clock by increasing white blood cell level in elderly; enhance adrenal function; improves sperm and restores male fertility; combats gum disease; suppresses high blood pressure; and regenerates Vitamin E and glutathione. Over the years, many research studies have concluded that Vitamin C is one of the safest and most non-toxic natural nutrients that can be taken. Both long-term and high oral intakes of up to 200,000 mg and intravenous doses of up to 300,000 mg of Vitamin C is safe and has no side effects. Likewise, studies show that there is no evidence of toxicity or side effects in giving late-stage cancer patients 50,000 mg of intravenous Vitamin C daily for up to 8 weeks. Moreover, AIDS patients were given anywhere between 25,000 to 125,000 mg of Vitamin C on a regular basis based on bowel tolerance without any side effects. Vitamin C is undeniably a safe supplement even when given in high doses over a long period of time. 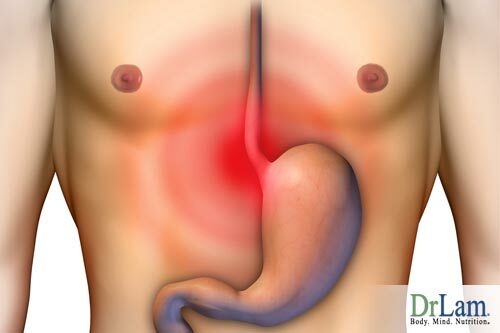 Reports of heartburn from the use of over-the-counter Vitamin C occur in some cases ( primarily in those with a sensitive gastric lining) but they still remain virtually devoid of side effects. Diarrhea, a common occurrence when the intake of vitamin C exceeds the body’s tolerance level (BTL) is temporary and subside once vitamin C dosage is reduced. This is not considered a side effect but rather a sign of maximum saturation from oral ingestion. Those with adrenal fatigue treatment, especially in the advanced stage, may experience increased anxiety and or fatigue with vitamin C. This is generally due to a clearance problem and not the vitamin C itself. Vitamin C is broken down into metabolites prior to its excretion from the body. If this breakdown process is dysfunctional or functionally sub-optimal ( as frequently seen in advanced adrenal weakness), the speed of clearance is reduced. As a result, metabolites accumulate and circulate in the body for a longer period of time. This excessive circulating metabolite can trigger a wide variety of “re-toxification” like symptoms including malaise, joint pain, anxiety, fatigue, heart palpitations, etc. These are not side effects of vitamin C.
Vitamin C will enhance the absorption of iron many folds. However, for it to do so, it must be taken simultaneously with the iron. Both vitamin C and iron must be present together in the intestine for the positive effect to occur. Vitamin C intake is commonly confused for a build-up of kidney stones since studies have shown that it contributes to the increased production oxalates in the body. However, no evidence has surfaced to pinpoint Vitamin C as the sole culprit in the increase in kidney stones as there are other factors that contribute to the development of oxalates in the body. When Vitamin C is taken, it is broken down into dehydroascorbic acid (DHAA). It is further metabolized and converted into diketogulonic acid. Finally, it is broken down and metabolized into exonic, xylose, threonic acid, or oxalic acid (oxalate). Oxalate is the metabolic end product when the human body breaks down Vitamin C. The body cannot break oxalates down into smaller compounds. The confusion arises due to the presence of calcium oxalate, the primary component of kidney stones. Moreover, some suggest that the intake of Vitamin C promotes the development of these kidney stones due to the oxalates that are produced when Vitamin C is broken down by the human body. However, over the years a large body of studies has been compiled from credible research facilities and has shown that these assumptions are not true. In addition, many research studies have proven that Vitamin C actually decreases the chance of kidney stone formation. Furthermore, Jester’s statistical study in 1977 revealed that individuals with high Vitamin C intake had a lower risk of kidney stones as compared to individuals consuming the least amount of Vitamin C.
Build up of calcium oxalate stones in the kidney are caused by a number of factors. High Vitamin C intake when certain medical conditions are present is just one of many. Kidney stones are linked to the presence of heavy metal killing agents such as DMPS, DMS and EDTA, increased urinary calcium, reduced urinary magnesium, increased urinary cystine, increased urinary phosphorous, ageing, dehydration, over supplementation of calcium, pre-existing kidney insufficiency or failure, history of intestinal bypass or resection surgery, urinary tract infections, hyperparathyroidism, cirrhosis, diabetes, congestive heart failure, antibiotic therapy, prolonged bed rest, hypertension, increased alcohol intake, and ketogenic diet. Taking Vitamin C may increase the oxalate level in the urine. This is the reason why many think that prolonged administration of Vitamin C will increase calcium oxalates in the human body. However, there are certain researches that have shown a leveling of oxalate production even though Vitamin C dosing was continued. Furthermore, the human body excretes significant amounts of oral Vitamin C without being metabolized. In addition, Vitamin C does not have to be broken down to oxalates to be utilized by the human body. As much as 89% Vitamin C administered is eliminated as DHAA. The unoxidized form of this vitamin is readily restored from oxidized counterpart than from the metabolic breakdown product. In short, Vitamin C does not have to be broken down to oxalate before it is utilized by the body. 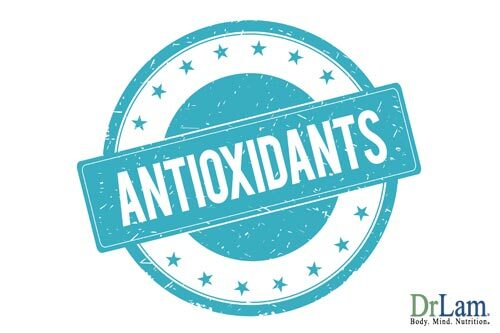 No significant increase in oxalates was noticed in healthy men when given a dose of 4000 mg or less of Vitamin C.
Spinach, rhubarb, parsley, citrus fruits and especially tea are good sources of oxalates. Likewise, swiss chard, cocoa, chocolate, pepper, wheat germs, peanuts, refried beans, lime peel have high oxalate content. Just like the others mentioned, various soy-based food has high oxalate levels. In addition, a high protein food such as sartenes and herring roe also increase oxalate secretion in the body. Researchers have shown the therapeutic role of Vitamin C. The studies have shown that Vitamin C is responsible for inhibiting the formation of calcium oxalate in individuals with a history of stone formation. In spite of the numerous researches and studies, many women especially the elderly still take regular doses of calcium supplement. The excess calcium due to the supplements finds its way to other compounds in the system. The calcium is combined with oxalates that are already in high concentration in the human body. However, studies have shown that Vitamin C given with calcium carbonate and other oxalate sources can facilitate stone formation. Patients who develop kidney stones should take sodium ascorbate as Vitamin C supplement and must avoid calcium ascorbate with calcium supplements. Proper monitoring of Vitamin C therapy, as well as other oxalate sources, must be done for patients with renal and kidney problems. Likewise, patients suffering from G6PD Deficiency and those with high levels of metal in their system must have professional assistance in monitoring their medication. Totally avoiding vitamin C is not a sound recommendation since the human body still needs this vitamin. No conclusive evidence has pinpointed Vitamin C as the sole cause of renal and kidney failure due to excess calcium oxalate crystal formation in normal people. However, proper dosage and monitoring must be observed. The decline in kidney function after Vitamin C therapy is due to dehydration and pre-existing kidney disease. In fact, these two are the major causes of the decline in kidney function. A careful study of the patient’s medical history must be done before putting the blame on Vitamin C. Proper hydration when medicating is always necessary. This will help prevent crystallization as well as a concentration of precipitates in the human body, which includes kidney stone crystals. Vitamin C ingestion must be monitored to include patients with a G6PD deficiency as well as those with a high level of metals in their system. Vitamin C’s oxidant properties are found in low dosages (60 mg up to 2,000 mg). For its pro-oxidant properties to manifest, it requires high circulated or tissue level of one or more catalytic metals such as mercury or lead. Asides from Vitamin C, other antioxidants like glutathione and NAD have pro-oxidant capabilities. The primary factor needed for Vitamin C and other anti-oxidants to demonstrate pro-oxidant activity is the presence of catalytic metals like mercury and lead.